The drug epidemic in New Hampshire has been making both local and national headlines, but beyond the headlines are stories of real people working toward or maintaining their recovery on a daily basis. 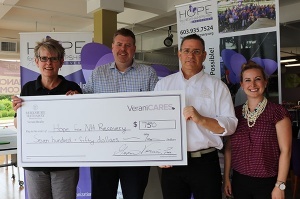 In light of how addiction touches so many families, VeraniCARES, Verani Realty’s philanthropy and social development initiative, donated $750 to the nonprofit Hope for NH Recovery to support people and families in recovery. 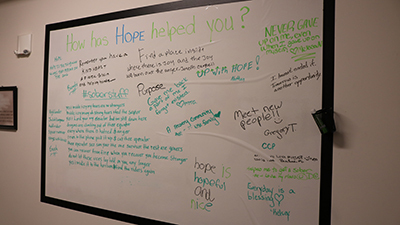 Hope for NH Recovery operates statewide and has five centers that offer a variety of weekly meetings, including mutual support groups, faith-based groups, and more. 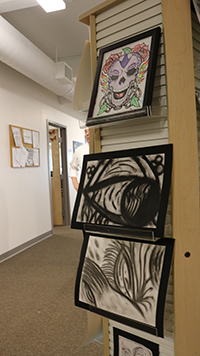 The center also has spaces for art, yoga and meditation, knitting, quilting and other activities. Focused on peer-to-peer support, staff are open about their own experience with addiction and are there to support people’s lives in recovery. Kristyn Nelson, an agent in Verani’s Bedford office and a VeraniCARES ambassador, became aware of Hope for NH Recovery through a fellow agent. “Bob Ramalho from Verani reached out to me to say I have this organization that is really near and dear to my heart, and we said let’s run with this – this sounds great,” Nelson said. VeraniCARES focuses on shelter-related and community causes, and Hope for NH Recovery was a natural fit. Ramalho, who is based in Verani’s Londonderry office, reached out because he had a close family member who went through addiction. Mooney said that historically, rates of addiction have stayed steady, but the types of drugs being used now are more dangerous, and it’s harder to distinguish what is safe and unsafe. As a result, they have seen a spike in the number of people who need help. Donations like the one from VeraniCARES primarily support the centers’ operations. Hope for NH Recovery’s Executive Administrator Karla Gallagher said donations allow their centers to help people free of charge. Whether someone has top of the line insurance or none, anyone is welcome to their services. She said the VeraniCARES donation will make this type of equal treatment possible. 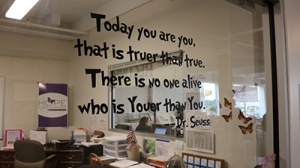 To learn more about Hope for NH Recovery’s services, visit hopefornhrecovery.org. To learn more about VeraniCARES visit verani.com.